The community is being challenged to raise $100,000 in the month of April, in order to claim a generous $25,000 gift for Cady Hill Forest from the Stafford Family Foundation. The land trust, which has raised nearly $1.2 million toward the $1.56 million project, is urging the community to pitch in and get the job done. For everyone who has been thinking about giving to the project, we urge you to donate before April 30th so we can claim this gift! Stowe Land Trust works hard to preserve the land in and around Stowe. This is one of the many reasons Stowe remains pure and natural looking and fantastic. Their new project will help to conserve the Cady Hill Forest for generations to come. What the result will be is 320 acres of town forest preserved and put into use with 11 miles of multi-use trails for hiking, biking, walking the dog, snowshoeing and more. All of this will be a short walk from the village of Stowe. This will add to the many properties that the Stowe Land Trust has preserved and put to community use over the years like Wiessner & Kirchner Woods, H. D. Burnham Farm and Mill Trail Property. 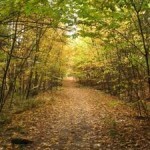 In order to get there the Stowe Land Trust needs to raise the final $450,000 by May 30, 2012. Help Stowe Land Trust reach this goal by donating to help preserve this beautiful land. 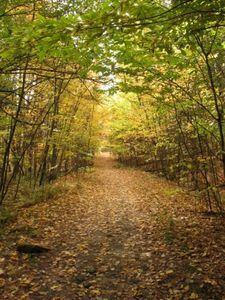 Visit the Stowe Land Trust site to learn more about the Cady Hill Forest and all their projects. Donate and Learn Here. What a wonderful thing to do! I hope the community has banded together in this!